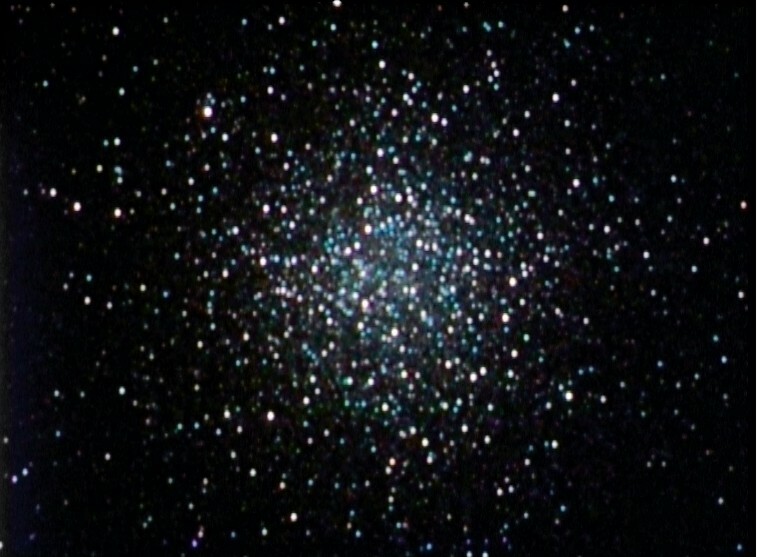 That spectacular globular cluster in Sagittarius almost rivals nearby M22. It was discovered by Lacaille in 1752 and Messier observed it on July 24, 1778. 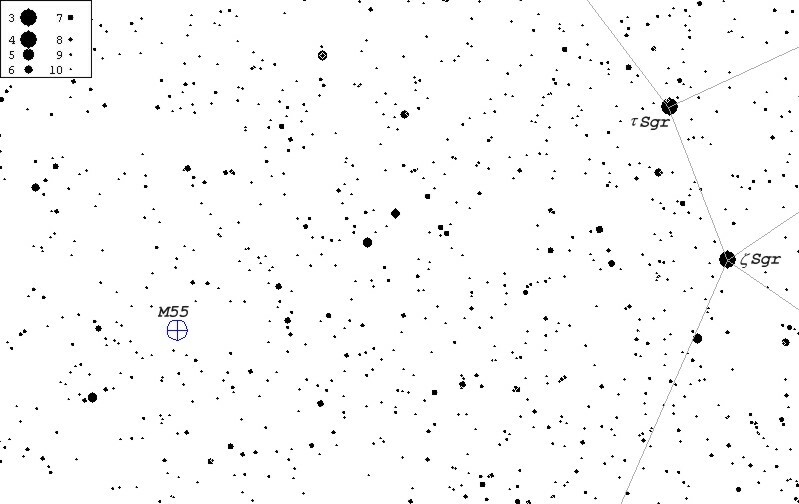 M55 is located about 17,000 ly away and is visible in binoculars about 8° E of z Sagittarii (see finder chart below). 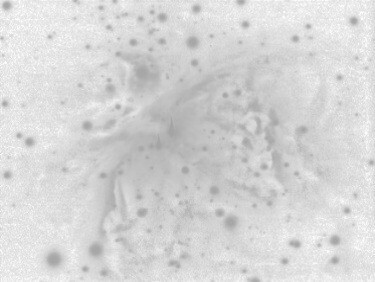 The above image was taken on July 12, 2002 from Harrowsmith, Onatario with Cookbook 245 LDC CCD camera on Celestron Ultima 8 f6.3 telescope. Twenty three unguided white exposures (30 sec. each) were combined with cyan, magenta and yellow-filtered integrations (7 x 30 sec., 7 x 30 sec. and 8 x 30 sec., respectively) using AIP4WIN and Corel Photo Paint 8.